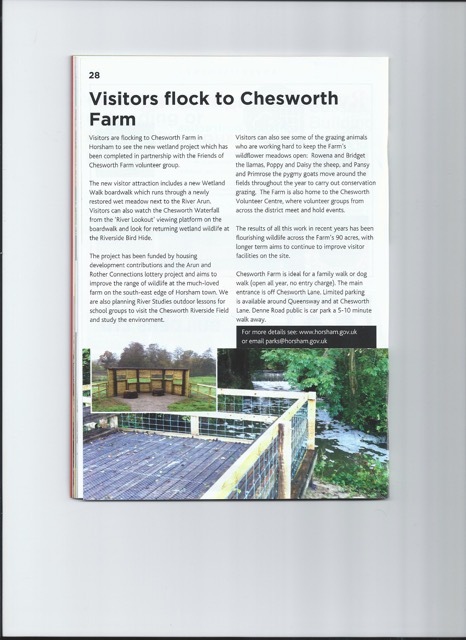 The farm’s wetland project and its popularity with a range of visitors old and new features in the latest edition of HDC’s Horsham District News, Spring 2015, page 28. How the project came about and some of the other plans for the farm are also included. The magazine is being distributed now.